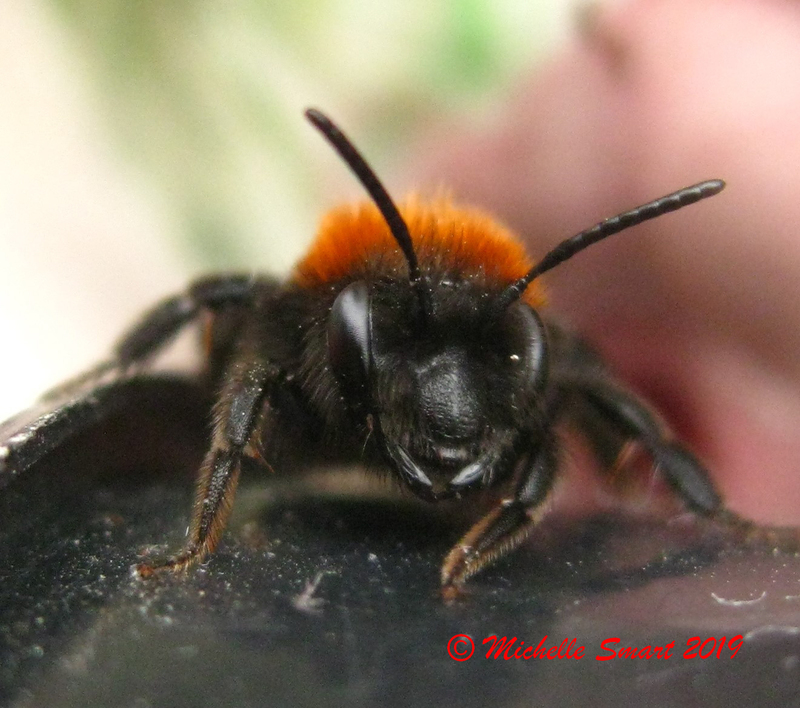 Cash and Carrots: Tawny Mining Bee! The other day in the garden I was stripping off part of the lawn (I say lawn, it is a small patch of grass that has suffered over the years with a swing and children on it!) in order to plant some wildflower seeds. I noticed a couple of bees going down into the grass and a day or so later discovered some small neat holes in the bare earth where I have planted the wildflower seeds. 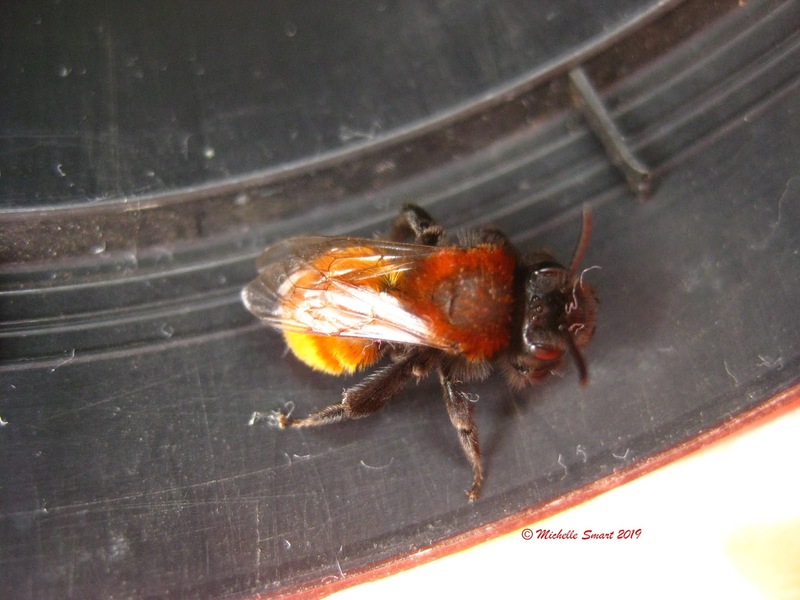 I also rescued a bee from the house. Very sluggish, maybe just woken up from hibernation. After I took a few photos I put it in the lean to greenhouse to sort itself out, which it did after an hour and then flew off. Having struggled to match it up in the Field Guide to Bees of Great Britain and Ireland by Steven Falk (this is probably due to my problematic colour vision and nothing to do with the excellent illustrations by Richard Lewington! ), I posted one of the photos in this post on Twitter and thanks to Brigit Strawbridge Howard (http://beestrawbridge.blogspot.com/) I now know this is a female Tawny Mining Bee (Andrena Fulva).